Startup, a meaningful word for today’s enthusiastic world. As this word can be split in “start” and “up”, we could say that the “up” is related to develop and increase the business. So, because of limited resources, the company needs to manage them effectively. Moreover, gaining sustainable competitive advantage leads to value creation, increasing performance and results for the business owner. WHAT ARE THE MAIN STEPS THAT A STARTUP SHOULD FOLLOW IN ORDER TO INCREASE ITS VALUE? This are the main 4 STEPS of BUSINESS STRATEGY that a startup should follow in order to assess, develop and apply an appropriate BUSINESS STRATEGY. 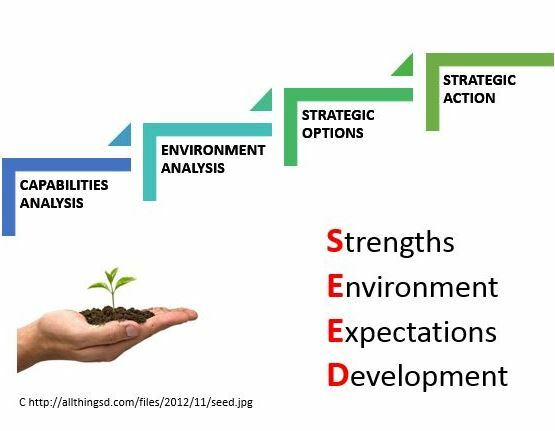 1) STRENGTHS: CAPABILITIES ANALYSIS – What does the start-up has in terms of resources, assets, human resource or investments? 2) ENVIRONMENT: MARKET ANALYSIS –Who are the main competitors, the target market, the suppliers or the key partners? 3) EXPECTATIONS: STRATEGIC OPTIONS – Where do you see the company in 1 year? 3 years? 5 years? Are there any options for developing the business? 4) DEVELOPMENT: STRATEGIC ACTION – How will you act to obtain the results that you want?